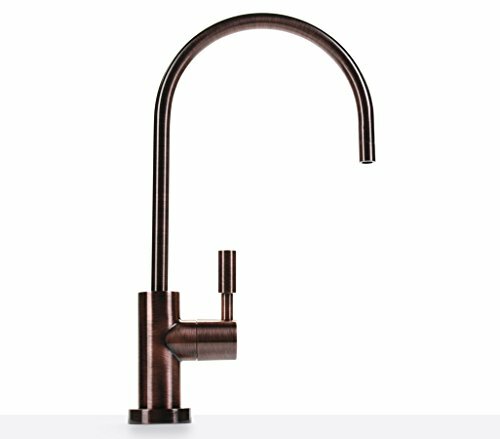 Hydronix LF-EC25-AW Ceramic Faucet is a antique wine faucet that can be used in reverse osmosis and drinking water systems. The LF-EC25-AW faucet features a large spout and designer antique wine finish. Made with exceptional workmanship, elegant design and high quality construction material, it is NSF certified to Standard 61 Section 9 ensuring lead-free compliance that will stand above the rest and give you many years of reliable service. 3" shank for easy installations.